You may think that how to change admin username in WordPress after reading that WordPress username can’t change. There are many like you in this blogosphere you still think that they can’t change the username in WordPress. I must tell you that you can change username and password both in WordPress. There are many reasons you may want to change your username. For your blog, security is the main thing to look after. For security purpose, you should change WordPress username because it would be easy to hack your website if someone comes to know the username of your WordPress. It’s better to keep it secret and you should change if you reveal it to someone. It’s better to keep it secret and you should change if you reveal it to someone. There is nothing hard in changing your username in WordPress. You just have to follow some simple steps for doing this. You may have visited the cPanel of your webs hosting and may have done some other things with it. But if you don’t have any idea about it then go to your web hosting website and log in to your account. But if you don’t have any idea about it then go to your web hosting website and log in to your account. 1). 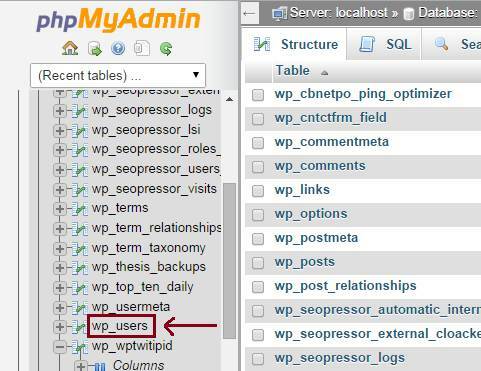 After logging in you have to click at “cPanel” in ” My Accounts” and then you have to go to “database’ section and then click at “phpMyAdmin“. 2). A new window will open in front of you and there you have to find the database you have created for your blog. You will find a list on the left-hand side where you can easily find your database. The hidden words shown in the screenshot is the database. You will find yours in this list too. After that click on your database. 3). After clicking again a new window will open where you have to find for “wp_users” in the same list at the left-hand side. You may find it at the top or downward based on your cPanel. If you want to change WordPress username and here you go by clicking at “wp_users“. 4). 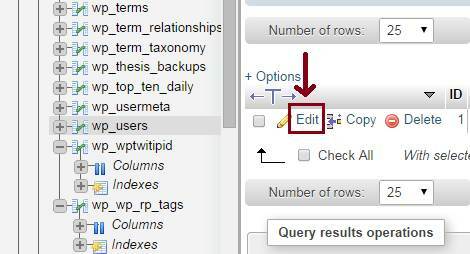 You will see an “Edit” option at which you have to click to edit your username. 5). You are at your final step where you will see many blank boxes to fill and on the right-hand side boxes, you will see your old username which you have to change. Here I have taken “Youruser” and you will find your current username here to change. You can replace it with anything you want. It may be your own name or something else based on your choice. Now you have successfully changed WordPress username. For confirmation, you can log in to your website with your new username. But you must keep in your mind not to tell your username to anyone. Keep it to yourself only so that only you can access your website otherwise, there are chances to get hacked by hackers. After going through this tutorial do you still think that you can’t change admin username for your website? You will come to meet many bloggers who don’t have much idea that they can change the username for their website. 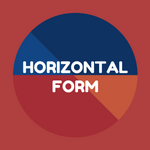 How To Create Horizontal Form Using CSS Within A Minute? As usual your tutorials are easy to understand with detailed pictures. I know how many bloggers struggle with changing their username. This tutorial solves that problem. Like I always say, I wish I had seen this tutorial during my newbie days. You are right. There are many beginners who want to change their WordPress username and need to follow any simple tutorial so here I am. Hopefully it will help some bloggers who are seeking for the same. Vinay takes care of the tech aspects, though I’ve learnt it all now and thanks to you all of you tech bloggers sharing your posts here, I keep learning each day! Yes, for security reasons, you need to change the usernames, more so with the number of cases of hackers all over the web. Better to be safe than sorry later. As I have told you before that I feel great when someone appreciate me. Yeah! I have noticed that many bloggers are non-techie. But let me tell you that there is nothing hard with it. You will have fun if you try to do it. Bloggers can change their username very easily and for sure it would be better for security. Bloggers should know that “WordPress can’t change username” is just a statement and they can prove it wrong. Its good to change your username time to time to increase your security for the blog. What a great tutorial and I’m sure many people will welcome this. I mean, even me, I don’t think I exactly knew or remembered how to change my username even though I have done it in the past, but maybe not as often as I should. Anyway this is a great tutorial that teaches us how to do it without making a single mistake. You know we all forget about these simple things if we don’t practice them. But still its good to know that after reading this pot you came to remember about it. Its so easy to change your username in WordPress. 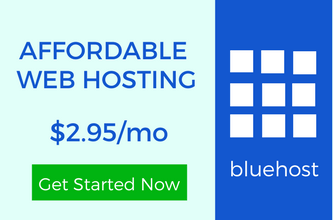 Just with the use of cPanel you can increase your security level for your blog. Great tutorial Ravi. Keep them coming – they are very informative and helpful especially to the newbies and even some seasoned bloggers. I won’t say that I know everything there is to know, but I like making new discoveries so I am constantly back stage going through my dashboard. It is by doing that I learned how to change admin name and even of late did a password reset. Everything comes with practice. No one knows everything. We all learn with the passing of time. There are many things you can know about WordPress and many changes can be done just by following some simple steps. As you have learned about resetting your password similarly you can change your WordPress username which increases security. You shouldn’t tell anyone about your username because it may lead to hacking of your website. There are many hackers seeking for vulnerable websites. Its good to have better security. Thanks for coming and sharing your wonderful views. As you know we met on Adriennes website. This community is awesome, isn’t it? You have done a great job here describing how to change our username and an important topic to keep us save and up to date. We all know that Adrienne is one of the successful blogger of this era. :) She is doing a great job at her blog by teaching others. Oh! I forgot to welcome you at my blog. :) Its great to see you here. I am glad that you liked my post and hopefully it will help you in changing your WordPress username. Yeah! its good to use shortcuts but its better to do it without any plugin. After all less plugins are great for your blog. You can do it using cPanel with in few minutes. Changing your username increases your security. This is an useful guide, and I love screenshots for explaining the process. The most common reason to change username is for “admin”, I guess. When you install WordPress then its better to change your username of your wish so that people can’t not come to know about it. You are right. Default username is “admin” so its important to change it to improve your website’s security. This is a very useful post and many people will be benefited by this information. I also really like the tutorials because they are detailed and step-by-step. Easy to understand for those of us who are a bit hesitant about the tech part of blogging. Also, I agree that changing the user name from the default admin is highly important as you mention because of a security concern. Having a non-common user name is the first step to securing the blog. You are providing great information in your posts and I will bookmark this for future reference. WordPress has many techie things to do and changing your WordPress username is one of them. As you have mentioned that most of bloggers are non-techie so that they should try these simple things. As we always say that bloggers should do experiments with their blog if they want to learn something new. For sure bloggers should change their username when they install WordPress first time. Because default username is not a good one to save your blog. Anyone can hack your website using that username. For security level its good to have a username of your choice. Thanks for taking time to put your wonderful input. Nice tutorial, I already knew how to do it. This would be helpful for everyone looking to change their admin username. There are many bloggers who don’t know how to change their username so they can come to know from this tutorial. I learned how to do this I think early last year. I had an issue on my blog so I went in and changed my username in the cPanel just like you suggested here but it didn’t work. It’s like it didn’t accept it and I had to go to my hosting service to get their help. That kind of freaked me out when things don’t always so as smoothly as we are told they should. LOL!!! Great share and I know others will appreciate this as well. Enjoy your week now. 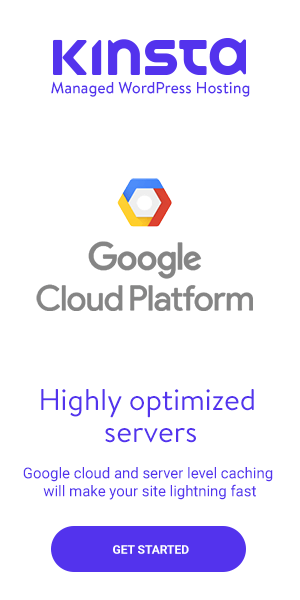 If these type of processors don’t work then one thing is left and that’s your web hosting because using cPanel you are going to change the structural keys for your blog. 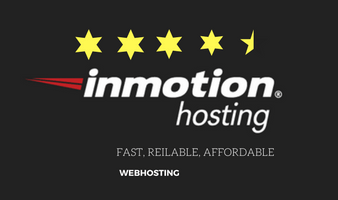 If it doesn’t work then may be your web hosting doesn’t work fine. But still its good to learn these simple things for general. At least your should try to do it. When you check your cPanel and try new things then you will gain more knowledge about it so its good to have it. Yeah! its irritating when we do something as told by others and then it doesn’t work. Hopefully bloggers will try this to change their username in WordPress. Recently, I have cause to change my admin username and password using the CPanel. The process needs careful application but it is very important! I see it as last resort if all other methods have failed! I agree with your point that people should do this process carefully because one wrong move can ruin their website. There are many thing in cPanel and if bloggers try to hang up with something else they don’t know then it would be bad for them. Its good to know safe method to do your stuffs. Thanks for sharing this tutorials with us. If you do not change your admin name & Password, then it could be a problem in blog security. I have seen this problem in many cases. So, it is better for us to change them. Here your step by step will help us to do this. Very useful tutorial for every bloggers. Like you I have noticed many beginners who ask for changing their username but don’t find any perfect solution. With this tutorial I hope newbies can change their WordPress username to increase security for their blog. Its always good to take safe steps for your blog. I always change default admin name when I install WordPress. I Never try to change admin name using cPanel. When you install fresh WordPress then default username will be “admin” which is necessary to change. Many bloggers use plugins to do that but I prefer to do it without using any plugin. You just need to go through cPanel which is easy to use. You can change your WordPress username within few minutes. An Extra chilly post! No doubt this will hepl so many new user who add or write an different username in their hosting. You know there are many bloggers seeking for this method. Even I was one of them in my previous days. For beginners its important to learn these things. I observed every time you bring the best solution of a most common problem. Many non-techie blogger remain admin of their blog even after quite a long time and don’t know how to personalize it. The riskiest aspect of this problem is ease to hack such accounts. Hackers first try with admin ID while hacking any control panel. So it is wise to first change admin with very personalized and unique ID to keep your blog safe. You mentioned the whole process of changing admin user name in very easy to understand way. I appreciate it that you take full care of your blog audience. Thanks a lot for sharing and a very Happy Diwali to you. When I was a beginner that at that time I used to face such problem and need to ask to others about WordPress. I have noticed many beginners who don’t know about techie stuff so they should know that its very easy to do these things. Changing their WordPress username takes few minutes. Many hackers try to find vulnerable website with default username so its necessary to change your username increase security for your blog. If you have default username then hackers may hack your website which is not good. You must have a strong username. First of all, whenever you install a new blog, you should make sure that your admin username is never “Admin”. But if you forgot to do that then changing the username is very important to take the first step in protecting the blog from getting hacked. You have provided a great step-by-step guide on changing the username using phpMyAdmin which is really tough for every new blogger, including me. I still get lost sometimes in phpMyAdmin. Thanks again for the post. And keep posting such tutorials as they are helping a lot of bloggers to use WordPress more efficiently. Like you there are man newbies who don’t know much about cPanel and many its components. As you have mentioned that people should check that if their username is default then its important to change it. Many bloggers think that WordPress username can’t be changed but its not like that. You can change it by following the steps explained in this post. Thanks for taking time to put your input. What a great tutorial and I’m one of those who thought I can’t change my username. Now I know it is possible and you made it very easy with the screen shots. Step-by-step tutorial. Awesome!! Thanks Ravi for sharing this little technical stuff which we overlook sometimes. Keep them coming, they are very useful to us all. Its great to know that I could help you by this post. Hopefully now you will not face any problem in changing your WordPress username. Many people like you think that username can’t be changed but there are many ways for that. Using cPanel is the way which you need to do carefully and you can also change the password. Thanks for stopping by and taking time to say your words. I quite agree with Sunday’s comment above…this method is a bit techy and would be very handy and apply if all other methods have failed….this however, is a most worked last resort option. Thanks for sharing, and do have a nice day. I agree with you both that this is little bit techie that’s why its important to do it safely. Bloggers should be careful when they handle their cPanel. You can change your username by using this method which would be good for your blog. Many beginners seek for this way so may be it will help them. I’m actually one of the people who didn’t know that it could be changed. That’s I made sure it was something that would work for me long term. But this is really good to know cause I might need in one way or another. Great step by step pics by the way. WordPress is an unique CMS and there are many things you can do with it. Changing your WordPress username is one of them. Many times bloggers think to change their username due to some security issues so its necessary to know the perfect way to do it. By following this method you can change your WordPress username very easily. Here I am once more again and I’m somehow speechless because according to wordpress, you can never change your wordpress username but I think they’ve never heard of the Ravi Chahar. Most of bloggers think that they can’t change their WordPress username. Its because in the profile WordPress states that username can’t be changed. But In WordPress there is always an another option to do one thing. With the use of cPanel you can change your username. I love this tutorial on how to Change Admin Username In WordPress Using cPanel. Its good to know that you liked this tutorial. When you think to change your WordPress username then you can use this tutorial. It would be easy for you to do your task. Changing your username is very important if anyone come to know about it because they can hack your website using it because password can be changed easily. So its better to be safe. Thanks for your regular support. 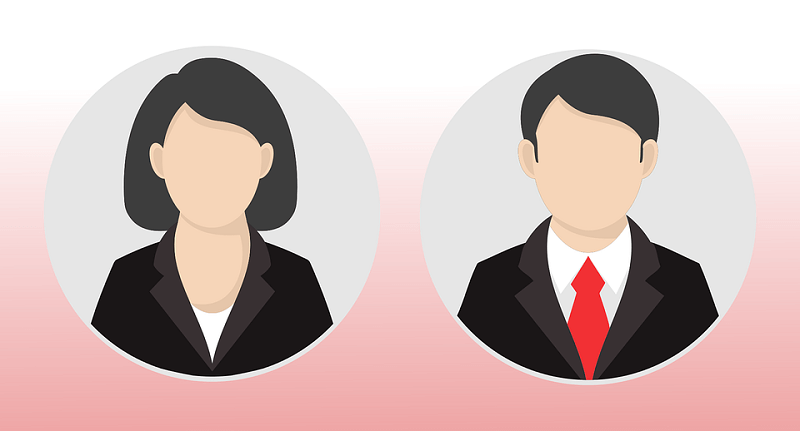 There are many reasons for which you may need to change your WordPress username. As you have mentioned that when any plugin create any problem and you can’t access your website then its good to change the WordPress username. May be with new username you can able to access your website. For security purpose too you need to change it. Using cPanel you can do many things and changing your admin username is very easy. You just need to follow some simple steps to do it.